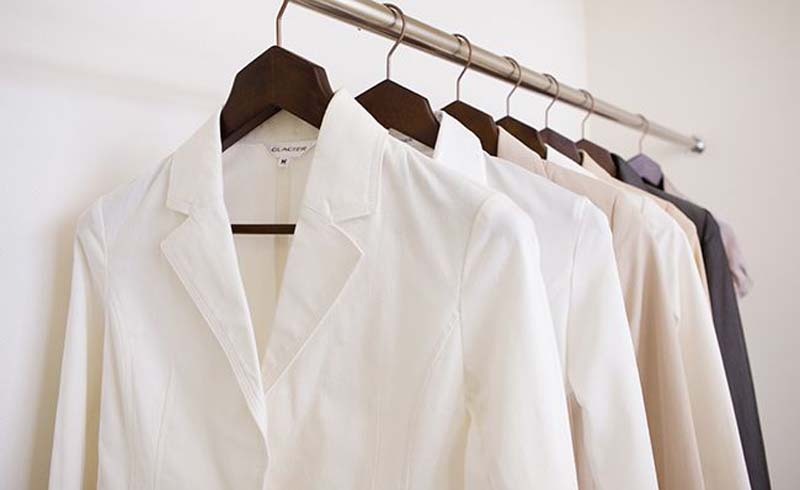 This organizing expert shares her tips for maximizing space in a shared closet. As an organizational expert, Bonnie Barrios creates serenity out of chaos for her clients, organizing almost every room in their homes from kitchens to playrooms. But one of her favorite projects is a closet makeover. “Working with small spaces can be a bit challenging but there are always creative ways to make everything fit and look good," explains Barrios. Here, she shares her top 5 tips for creating and organizing a shared closet that you'll both love. “Before I start any closet project with a client, the first thing we do is a major purge," explains Barrios. She advises that cleaning out everything you don't want and don't use, will give you not only a clean slate but also a fresh perspective so you can properly plan the new space. Most clients are comfortable with the “one-year" rule: if they haven't used it in more than one year, it's time to toss it. This is a challenge that is unique to every couple. “The majority of the time I have one neat freak and one messy person who are a couple," says Barrios. “I once had a client who worked in the fashion industry and he had an amazing collection of cashmere sweaters, so he actually needed more space than his wife." Once you decide who needs how much space, it's easier to organize that space. Measuring the closet is the next essential step in order to determine the correct sizes for everything from rods, to shelves and baskets. “When you are working with minimal space, it's more challenging, but there are always ways to make it better," Barrios points out. “If you have an apartment with high ceilings, always take advantage of the vertical space," she explains, “Double bars going completely across the closet would be ideal; he can use the top rod and she can use the bottom one." Or if you have a deeper closet, extend the depth of the shelves in order to layer your items, with labeled boxes for out-of-season clothes behind the pieces you are wearing now, in front. “Shelf dividers are a must," notes Barrios. "They hold folded clothes together neatly, and keep items from falling over when you pull something out." Barrios also suggests buying a double-duty item like an over-the-door organizer. 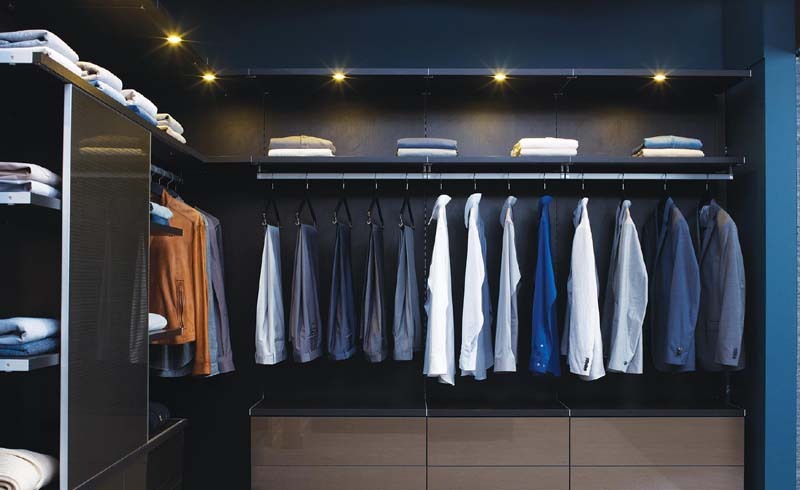 Although it can be overwhelming, reorganizing your closet shouldn't be a boring chore. And there are lots of DIY projects that can bring your personal style and taste to your space. One of Barrios's favorites: make your own tie and belt (or purse and scarf) rack. “This is an amazing space saver and so easy to make. All you need are some command hooks and a rod of your choice, and voilà, you have a tie and belt hook," like this DIY “Gentleman's Valet."